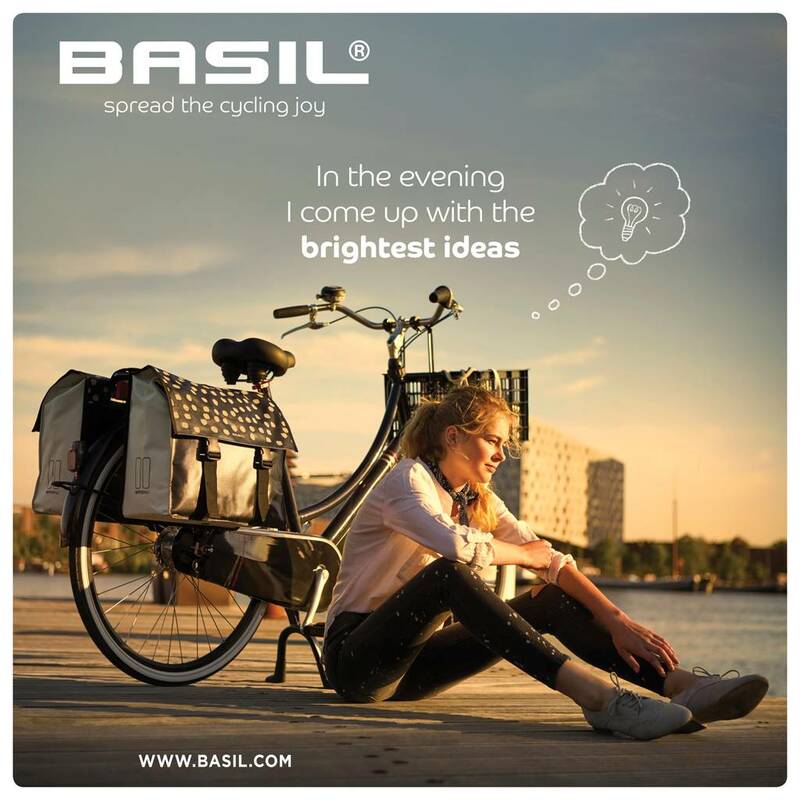 The Basil urban Load is a water-repellent bicycle Double Bag equipped with the Universal Bridge System, has a capacity of 53 litres and is black with a light reflective dots. 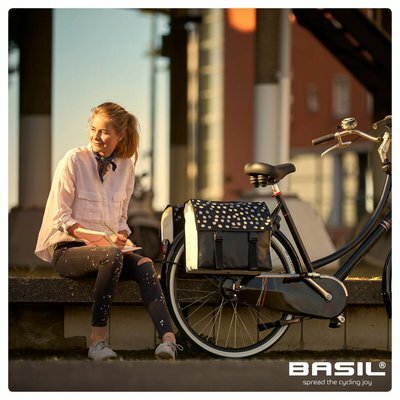 The Basil Urban Load is a Double Bicycle Bag that has, thanks tot he dotted pattern, a female and stylish appearance. The bicycle bag has, among others, been made of polyester and water-repellent tarpaulin. This will keep your belongings dry during a rain shower, when you go out for groceries or when making a tour in your vibrant city. The folding closure prevents rain from entering the bag. The Double Bag has an impressive capacity of 53 litres. In some cases this is comes in handy when you arrive home with your bicycle bags full of new clothes (oops) instead of only the pair of new shoes that you really need. When the bag is empty it can be made smaller or more compact thanks to the flexible sides. This allows you to park your bicycle with a lot more ease in the overcrowded bike parking at the central railway station. The Urban Load is equipped with the Basil Universal Bridge System thus making it compatible with all sorts of rear carrier racks (also e-bikes) and it can also be used in combination with systems such as Racktime and i-Rack/Carrymore. What’s more there is also a model with a reflective print for improved visibility. The Basil Urban Load is available in multiple colors based on the latest colorblocktrend. There is a green with white version, a grey with (gold)yellow version and a black Basil Urban Load Double Bag. Check out the complete Basil Urban Load collection over here.